I am so excited to partner with Sakura Bloom on this amazing gift package for Mother’s Day, and I have two to give away for lucky readers. 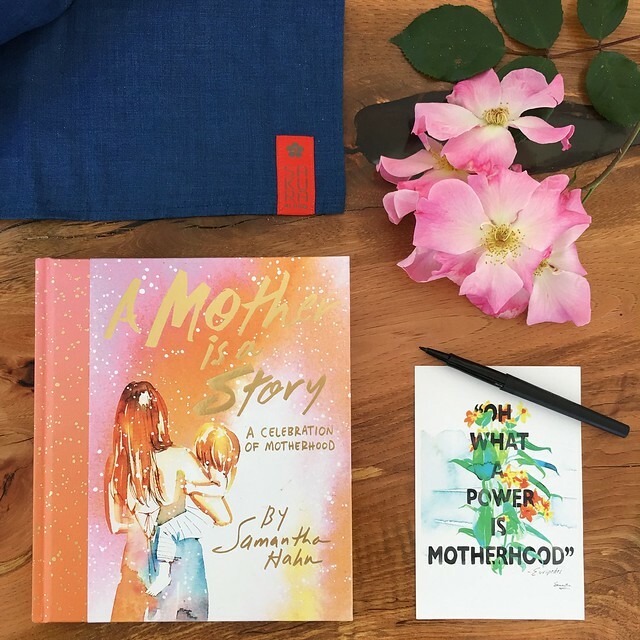 Each will each receive the new Sakura Bloom Indigo sling (releasing April 27th), A Mother is a Story, and a limited edition print of signed quote from my book. 3. Make sure both of you are following @lovesakurabloom @socialps and @samanthajhahn. Winner will be chosen this Friday! Oh, and check out this super sweet post about my collaboration with them over the years. Also, For a limited time only, each Indigo sling (new release) with come with an exclusive notecard from my book printed by Social Print Studio.